Congress’ election manifesto opens debate on much-needed reform in Indian judiciary but promises have seldom turned into government action. 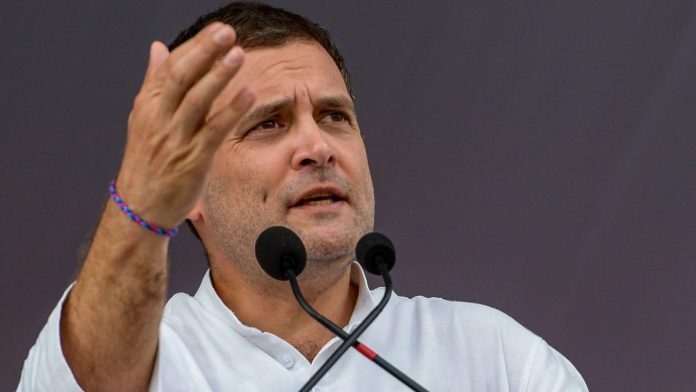 All the focus of the Congress campaign has been on Nyay for everyone in the 2019 Lok Sabha election, but it is the party’s manifesto promise on judicial reform that calls for scrutiny. With its nine-point reform agenda, the Congress has put the spotlight on India’s judiciary that has needed urgent reform for quite some time now. The Congress’ 2019 election manifesto has suggested nine important changes in the judiciary — from procedural to structural. These include: amending the Constitution to make the Supreme Court a constitutional court; establishing Court of Appeals with benches at various locations; giving representation to women, SCs, STs and OBCs at various levels in the judiciary; fixing a common retirement age of 65 years for judges in tribunals, high courts, Supreme Court; introducing modern technology; ensuring technology for judges to track and expedite disposal of cases; appointing professionals for better roster and court management; establishing National Judicial Commission for the appointment of judges; and creating an independent Judicial Complaints Commission. While the Congress’ manifesto lays down several promises, it is important to focus on certain crucial policies. Let us analyse some of these proposed reforms through data. Forming a Constitutional Court: Limiting the powers of the Supreme Court for only constitutional matters has been advocated even in the past. The Supreme Court today is clogged with a variety of cases. A recent study by DAKSH pertaining to the cases handled by the Supreme Court in 2018 shows that among the cases disposed, criminal matters, ordinary civil cases and service matters occupied the highest spot. Ordinary civil cases tend to take nearly 5.5 years to get disposed while criminal matters take 4.6 years to get disposed. Furthermore, data suggests that majority of the cases disposed in 2018 were dismissed. Hence, making the Supreme Court a constitutional court is the need of the hour. Establishing Court of Appeals: DAKSH’s 2016 survey suggested that litigants spend on an average Rs 520 per day to attend the court. Also, the loss due to taking time off from work or business further came up to Rs 873 per litigant. While the survey was carried out among the lower courts, the cost borne by the litigant to travel all the way to the Supreme Court would certainly be higher. Hence, establishing a Court of Appeals in various locations would help reduce the overall cost for the litigants. Representations in the judiciary: Representation too is a serious concern. Women representation is severely low. As per a recent study by Vidhi Centre for Legal Policy, only 27.5 per cent of judges in the subordinate courts are women — with states such as Bihar and Jharkhand having the lowest representation with 11.5 per cent and 13.9 per cent, respectively. Addressing the under-representation of women in the subordinate courts and the high courts is indispensable to achieving gender diversity within the judiciary. Use of technology: Perhaps one of the most important reforms promised in the Congress’ manifesto deals with the integration of technology to track cases. Under the e-courts initiative, courts are entering the case-related information online on a daily basis and these can be used by advocates and litigants to keep a track of their cases. Even judges are greatly benefitted as they can use the data to monitor the progress of cases on their docket and focus on stages that are taking the most amount of time. Data is a powerful tool that can play a pivotal role in reducing the pendency of cases in court. Hence, technology should be used to its optimal level so that judges are able to constantly keep track of new and old cases and ensure their timely disposals. Court management: Better court management is crucial to achieve speedy disposal of cases. Listing optimal number of cases and ensuring that minimum adjournments are granted is essential. Recently, a bench in the High Court of Karnataka listed close to 500 cases for five consecutive days, proving that there is a need to emphasise on better court management. The 13th Finance Commission Report stressed upon the requirement of having court managers. These MBA-qualified professionals are required to assist judges in identifying weaknesses in the court management systems and recommend workable steps. While court managers have been appointed in various states at the high court and the subordinate court level, research suggests that their skills haven’t been utilised to the optimal level. For effective results, court managers need to be fully absorbed into the system. Apart from the above-mentioned reforms, the manifesto also promises to set up an independent commission for judicial complaints. Who would be the part of this commission? To what extent would the commission be independent? These are the key questions that need to be addressed. As one of the most tumultuous five-year periods for the judiciary in recent times comes to a close, it augurs well that there is finally some likelihood of a debate on reforming India’s judicial system. But it would take more than just listing promises in a manifesto. For instance, Indian courts have been wracked with pending cases that have only been on the rise over the years. As per the National Judicial Data Grid (NJDG), more than three crore cases are pending across the subordinate courts in the country. There is an immediate need to tackle the incoming case load and ensure that cases do not get lost in the judicial limbo. Adequacy of judges and staff, proper infrastructure, better court management, and reducing pendency should be the real focus of the government round the clock. The author is a Research Associate at DAKSH, a civil society organisation working on judicial reform issues. All views are personal.